The Law Offices of Mark K. Emery boasts 21 years of substantial experience in providing title insurance and handling transactions from start to finish, is brought to every real estate closing. As an independent, approved attorney through Commonwealth Land Transfer, I act first and foremost on behalf of the buyer, and not the lender or real estate broker who may own or have referred you to another settlement company. As title insurance fees are regulated by state law, the difference is the level of service I provide, as I personally handle all matters. Having an experienced real estate law litigator at the closing table ensures that issues are recognized, addressed, and properly resolved prior to closing. 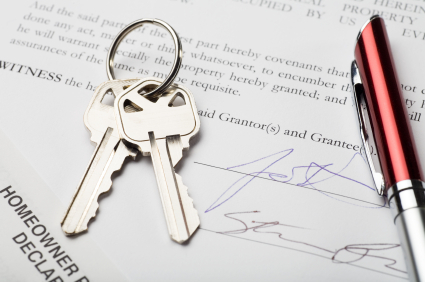 While real estate agents are a valuable resource for the sale of a home, many times buyers and sellers are better served by handling the transaction themselves, but only through the use of an experienced real estate attorney to handle the transaction. Working with the parties, the lender, and other third party providers allow for a timely, understandable and proper closing. The old saying “Good fences make good neighbors” is true, but what happens if the neighbor’s fence is in your yard? That is just one real estate issue that may arise, along with failure to disclose, boundary line disputes, breach of contract, trespass and myriad of other legal matters and concerns. If these issues arise, you need practical solutions, litigation being the last solution.